Angus Deaton, an economics professor at Princeton, is the recipient of the 2015 Nobel Prize in economics. He is asked : America is trying to come to terms with its economic inequality. Does inequality spur growth or kill it? Is it a necessary evil—or necessarily bad? Deaton believes that Inequality is not the same thing as unfairness. It is the latter that has incited so much political turmoil in the rich world today. Some types of inequality feel instinctively ok. Americans adore inventors and rags-to-riches heroes. But innovators rising net worths contribute to inequality. Aspects of globalization and technological change, like outsourcing and robotics, also suppress worker wages while benefiting the rich. But these alone can’t explain why median incomes have stagnated for half a century, while incomes at the top have skyrocketed. To Deaton, there are other economic and social processes that propagate inequality, and they’re unfair. Healthcare Financing. Healthcare jobs grew the second fastest in 2017, but wages were largely flat, leading hospital workers to unionize for higher pay. Healthcare financing cuts wages for the average American. Most employer-sponsored healthcare benefits are actually taken out workers’ paychecks, not a pure company perk. Mergers. Many industries, like tech, media and healthcare, are now run by a few, large companies. But mergers rarely boost the wages of workers. Big companies have an easier time manipulating public policy to accrue profits, instead of making money through innovation and investment. The Sluggish Federal Minimum Wage. The US federal minimum wage, at $7.25 an hour, hasn’t budged since 2009. Diminishing Worker Power. Twenty percent of workers sign non-compete clauses, which prevent them from taking on side-hustles to make some extra cash, reducing their incomes and bargaining power. Over half of non-union, privately employed Americans—some 60 million people—have signed mandatory arbitration agreements, which means they can never sue their employers. The Rise of Temps. Companies are increasingly replacing full-time, salaried workers with contractors. Janitors, servers, and maintenance staff who once worked for wealthy companies now work for independent service corporations that compete aggressively against each other over pricing. The Growth of the Stock Market. While the stock market rewards innovation, it also incentivizes companies to shuffle resources from labor to capital. As median wages have stagnated, corporate profits relative to GDP have grown 20% to 25%. That number would be even higher if executive pay was tracked as profits instead of salaries. Corporate Wins in Politics. Trump plans to gut 75% of regulations, and may roll back a rule that requires money managers to prioritize their clients’ interests. All the while, the US Supreme Court has ruled that corporations can act as political entities—spending unlimited amounts to support candidates and the lax legislation they will eventually push. Deaton takes heart from these problems. They’re not a consequence of seemingly unstoppable forces like globalization and technology, but of a dysfunctional economy. And he feels that with the right policies, they can be reversed. KABUL, AFGHANISTAN - The Islamic State attack on a Shiite cultural center in Kabul on Thursday, which killed more than 40 people and wounded scores more, was the latest in a series of assaults by a powerful local affiliate of the extremist group. The Afghanistan branch, which calls itself the Khorasan Province, has stepped up attacks over the past year even as the extremists’ self-styled caliphate in Syria and Iraq has collapsed. The affiliate is estimated to have some 10,000 fighters, a toxic mix of Uzbek extremists and disgruntled former Taliban. 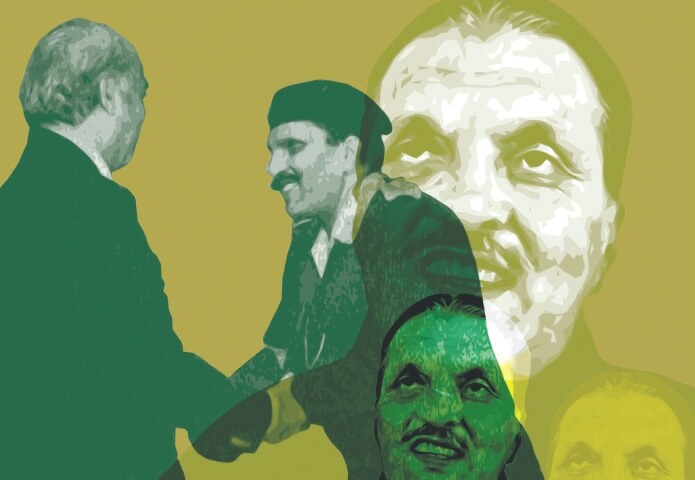 General Ziaul Haq was perhaps the most controversial ruler of Pakistan. His 11-year-long regime folded in August 1988 when a plane he was travelling in crashed somewhere NEAR Bahawalpur. Sabotage was suspected but never really investigated. Surprisingly, very little has been written about him, apart from what he did as a dictator. There has never been any authoritative biography about the man whose eerie shadow still looms large across the country’s thorny political and social landscape. There are a number of books written about his tenure as dictator, but not much is available on who he really was beyond the image his propagators promoted. BEIJING, Dec. 29 (ChinaMil) — The world landscape has changed at a faster pace in 2017. Inter-power cooperation and competition coexisted, with the latter becoming more prominent. Major countries paid more attention to contention for regional dominance, for buffer zones and “strategic strongholds”, and for emerging fields. But be it confrontation or standoff, all sides remained restrained below the traditional “threshold of war”. China tested a new missile that incorporates a hypersonic weapon system, an unnamed U.S. intelligence source told The Diplomat this week. The weapon, known as the Dong Feng (“East Wind”) -17, or DF-17 for short, is designed to confound existing air defenses. Intended to become an operational weapons system, the DF-17 is likely the first in a new generation of hypersonic weapons under development by the major military powers. The People’s Liberation Army Navy Rocket Force, the arm of the Chinese military that controls Beijing’s nuclear and conventionally armed ballistic missiles, tested the DF-17 in November after more than a half dozen development tests between 2014 to 2016. (The image above is a DF-21D, which is similar to the DF-17.) 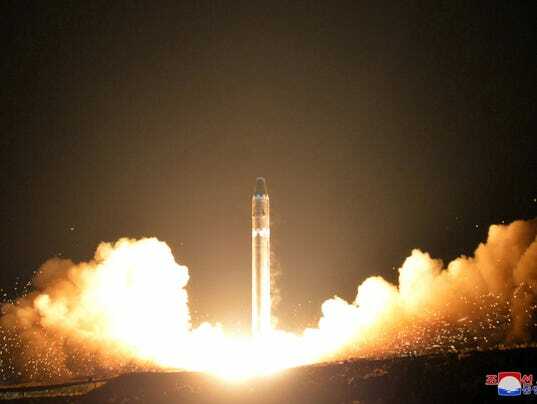 The missile was launched from the Jiuquan Space Launcher Center in Inner Mongolia, the site of previous Chinese anti-satellite missile tests. The missile is expected to enter service in 2020 and has an estimated range of 1,100 to 1,500 miles. Other areas include smart cars, robotics, advanced shipbuilding and maritime equipment, modern agricultural machinery, advanced medical devices and drugs, new materials, smart manufacturing and machine tools. The aim is “to make China a powerful manufacturing country” and upgrade the nation’s industrial power through “the internet, big data and artificial intelligence”, the commission said. To achieve that goal, the agency has laid out specific targets to develop key technologies and guide research and the flow of funds in each sector. In the coming years, China shall aim at high-quality development, while seeking to forestall financial and international risks. The recent Central Economic Work Conference marked a historical point in China’s economic development. 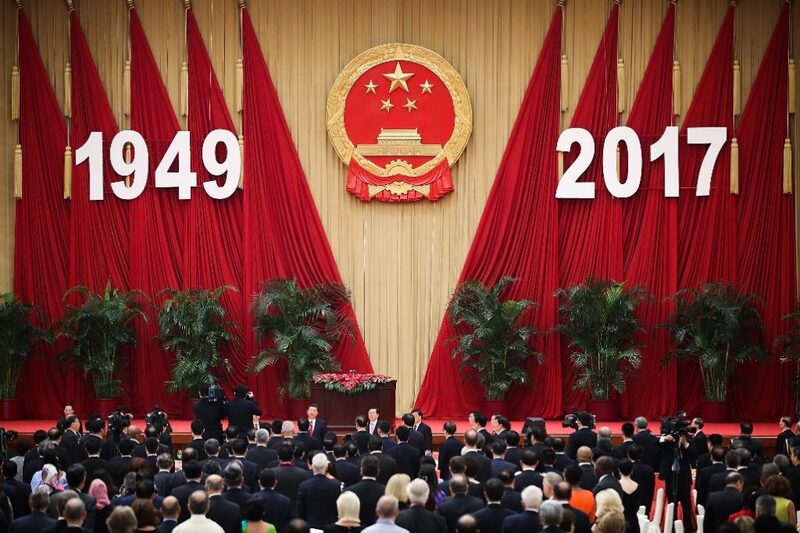 After Mao’s struggle for the mainland’s sovereignty, and Deng’s economic reforms and opening-up, President Xi’s team seeks to complete much of the transition to post-industrial society by the early 2020s. What a difference a year makes. In December 2016, pan-Arab solidarity trumped nationalism when Qatar canceled the official ceremonies celebrating independence on its National Day after Aleppo fell to Syrian loyalists. Now, six months after the beginning of a blockade of Qatar imposed by its Arab neighbors, this season of National Days in the Gulf nations (Oman celebrated Nov. 18, followed by the United Arab Emirates on Dec. 2, Bahrain on Dec. 16. then Qatar on Dec. 18) appeared more riven by intra-Arab disputes than ever. In the cracks, the flowers of a new, stronger Qatari nationalism are sprouting. North Korea state media broadcast a statement recently declaring new United Nations sanctions as an "infringement on sovereignty" and an "act of war." One of the most serious issues of 2017 has been what to do about North Korea. In September, Kim Jong Un's regime tested a large nuclear weapon underground, claiming it was a hydrogen bomb. North Korea also demonstrated this year that it has the missile technology to deliver its warheads pretty much anywhere in the world. Has Russia’s Military Learned the Wrong Lessons From Its Role in the War in Syria? Russia this month announced another draw-down from its combat operations in Syria, which began on Sept. 30, 2015. The Russian military will retain troops in the country, likely indefinitely, where it has demonstrated the capabilities of new weapons and tactics — which together show it has learned from its shortcomings in past operations. Nevertheless, as experts told War Is Boring, many of the Russian military’s old habits were also on display throughout this campaign. It’s no secret that Russia used its military campaign to both demonstrate and test hardware, and furnish its forces with some actual combat experience. In March 2016, Russian Pres. Vladimir Putin said that combat operations in Syria are the best form of training for his country’s armed forces. Japan is laying the groundwork for a profound leap in its military capabilities. On Dec. 26, three unnamed government sources told Reuters that Tokyo was considering retrofitting the Izumo helicopter carrier, its largest flat-decked warship, to be able to carry U.S.-made F-35B warplanes. Doing so would effectively give Japan its first fixed-wing aircraft carrier since World War II. This comes a week after Japanese officials confirmed that Tokyo is also planning to equip its own fleet of F-35A warplanes (a variant of the type it would use on the carriers) with long-range cruise missiles capable of striking targets as far as 900 kilometers away – say, ballistic missile launch sites in North Korea – in what would be Tokyo’s first major purchase of offensive weaponry in more than half a century. On Dec. 21, Japan’s Cabinet approved yet another record defense budget, swelling to around $46 billion, or 1.3 percent over 2017’s budget. New technologies that support financial services - technologies commonly referred to as “fintech" - are expected to change the face of the banking industry. Fintech experts predict that banks of the future will offer elaborate social network platforms, enable customers to use mobile phones to identify investment opportunities and “run almost entirely" on algorithms and robots. Many banks will get to this future sooner, others will get there later and some may never get there at all. This implies that the customers of some banks will be left behind, at least temporarily, in accessing technological innovations that are readily available elsewhere. Who are they? It is on course for high growth, low inflation, lower taxation, increased income support for the needy. And declining inequality. The world economy had a very successful year in 2017. 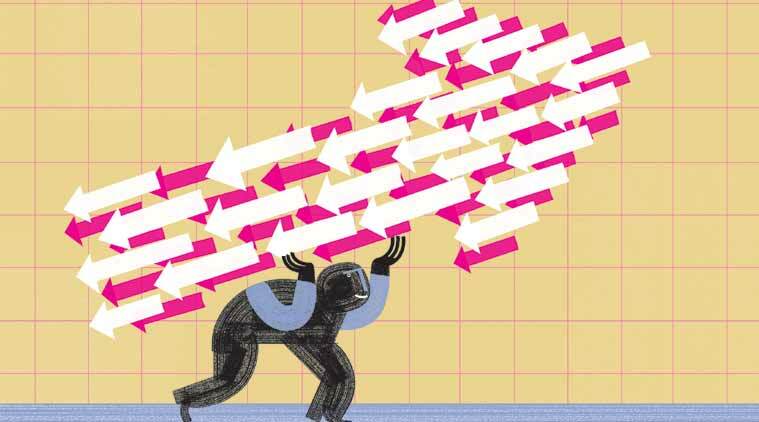 Just how successful can be gleaned from the fact that GDP growth (IMF data) registered close to 3.7 per cent in 2017. Unemployment rates in the advanced economies (AE) are at multi-year, if not historical, lows. What is surprising is that (median) inflation rates in AEs, while up from near-zero levels in 2015 and 2016 (0.3 and 0.8 per cent respectively) could only register 1.6 per cent in 2017. It has been a tumultuous year marked by natural disasters, geopolitical tensions, and deep political divisions in many countries. On the economic front, however, 2017 is ending on a high note, with GDP continuing to accelerate over much of the world in the broadest cyclical upswing since the start of the decade. Here are five charts that help tell the economic story of the past year. According to Akamai, South Korea is on top of the world when it comes to fast internet, with an average connection speed of 28.6 Mbps - 9.9 more than the U.S - in Q1 2017. The 18.7 for the United States does though show a marked improvement on last quarter's 17.2, finally breaking into the world's top ten. When the War Comes, What Should We Civilians Do? Imagine this. Yesterday, Russian warships cut several of the undersea cables that power the internet. Millions of Europeans suddenly found themselves unable to use email and text messaging services. They were unable to bank or pay their bills online. Retailers’ websites ceased to function. Families stampeded on grocery stores. By the evening, internet-enabled hospitals had to revert to old-fashioned treatment. At bank branches, fist fights broke out as people queued up to withdraw cash. Unverified news of an impending military invasion caused residents to leave major cities, clogging up up rail lines, highways, and gas stations. The ubiquity of smartphones and their increasingly capable cameras has not only led to a boom in digital photography but also to a rather steep decline in digital camera sales since 2010. According to new data published by photo-sharing platform Flickr, smartphone cameras accounted for 50 percent of all pictures uploaded to the site in 2017. What’s even more impressive though is that Apple’s iPhone is by far the most popular camera among Flickr’s community of hobby and professional photographers, leaving dedicated photography brands such as Canon and Nikon miles behind it. In fact nine of the ten most popular cameras used on Flickr are different iPhone models, amounting to a combined usage share of 54 percent (among the top 100 devices). 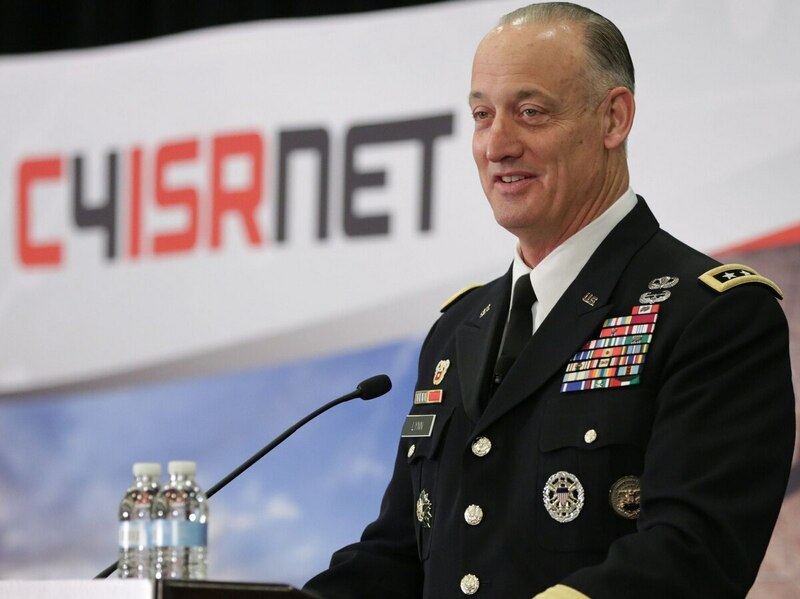 Lt. Gen. Alan Lynn, shown at the C4ISRNET annual conference, sat down with C4ISRNET’s Amber Corrin to discuss the role of DISA and the Joint Force Headquarters-DoDIN in supporting the span of Department of Defense missions. Lt. Gen. Alan Lynn’s current role means he has two jobs. He’s in charge of fielding enterprise IT throughout the Department of Defense, while also protecting DoD networks across the military. Neither is a small task, but there’s an army of nearly 7,000 active duty and civilian employees, as well as industry partners and allies, charged with supporting the span of agency missions. WASHINGTON — Complaints about the speed of the foreign military sales process from allies, industry and within the Pentagon are nothing new. But those hoping for reform see potential in 2018, thanks to a group of leaders with a personal focus on building up allied capabilities and an administration that sees weapon sales as a way to grow American jobs. It starts with Secretary of Defense Jim Mattis, who early on declared building up partner capabilities as one of his key objectives. That directive has been accompanied by a “steady drum-beat” on the issue, according to Deputy Secretary of Defense Patrick Shanahan, who told reporters on Dec. 21 that he would be working on the issue directly.